Sales of new single-family homes were at a seasonally adjusted annual rate of 592,000. That’s 3.5 percent higher than the May 2016 estimate (572,000) and 25.4 percent above the June 2015 estimate of 472,000. 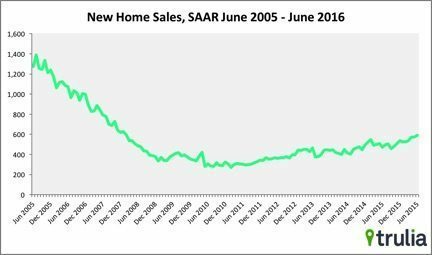 The median sales price of new homes sold in June 2016 was $306,700. June’s first-time foreclosure starts (those properties starting the foreclosure process for the first time) were at 69,300 — the lowest starts reported in 16 years. Total U.S. foreclosure sales are at 2.31 percent — a 13.54 percent month-over-month and a 20.65 percent year-over-year increase. The U.S. loan delinquency rate, which includes homes that are 30 or more days past due, but not in foreclosure, experienced a 1.33 percent month-over-month increase and a 10.03 percent year-over-year decrease from June 2015. 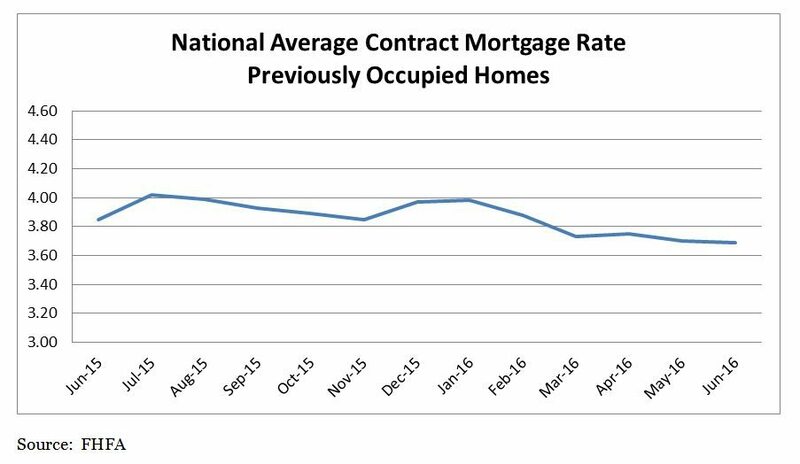 May 2016 marks 49 consecutive months of positive home price gains. In May, the national home price index reported a 5 percent annual gain — growth that’s level with the yearly index gain recorded in April. Portland (12.5 percent) reported the highest year-over-year gains, followed by Seattle (10.7 percent) and Denver (9.5 percent).